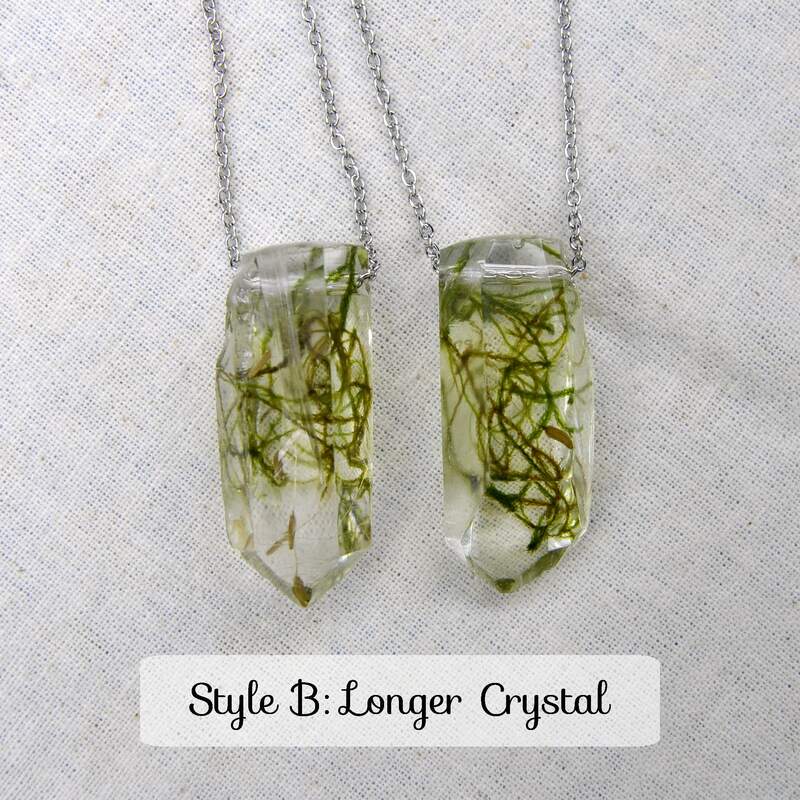 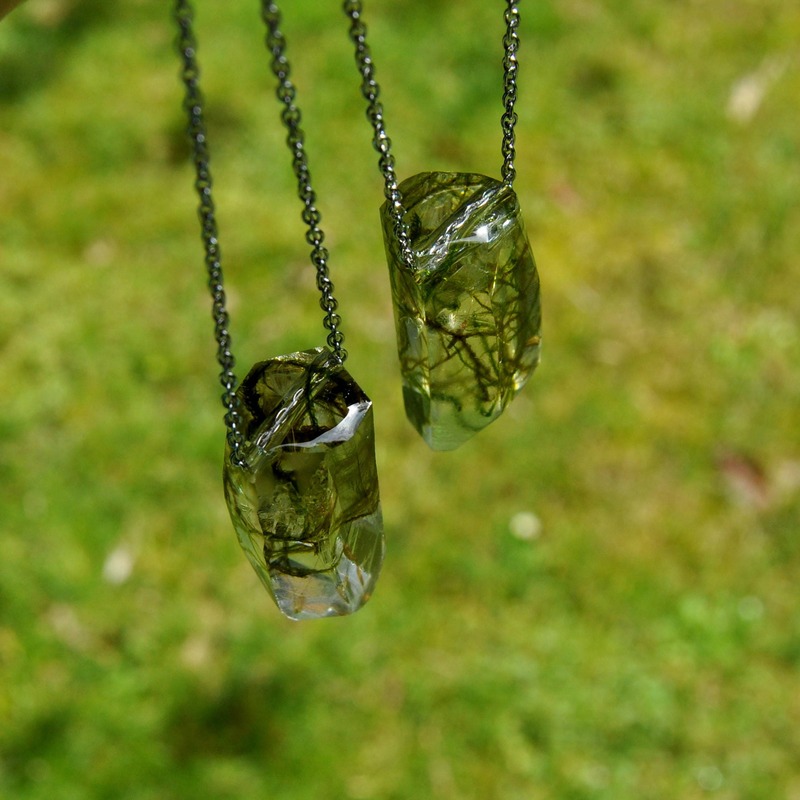 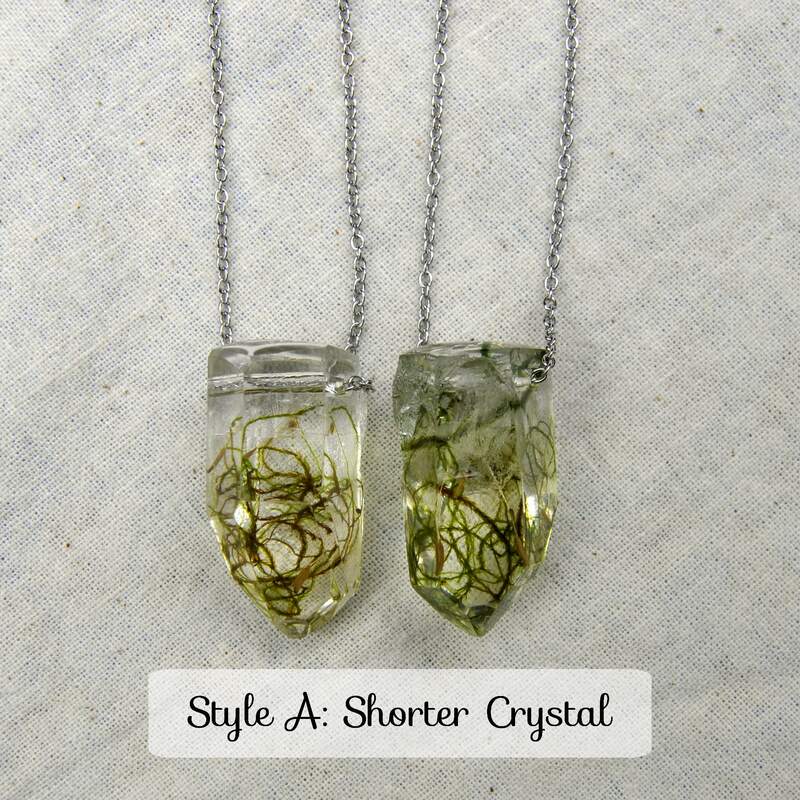 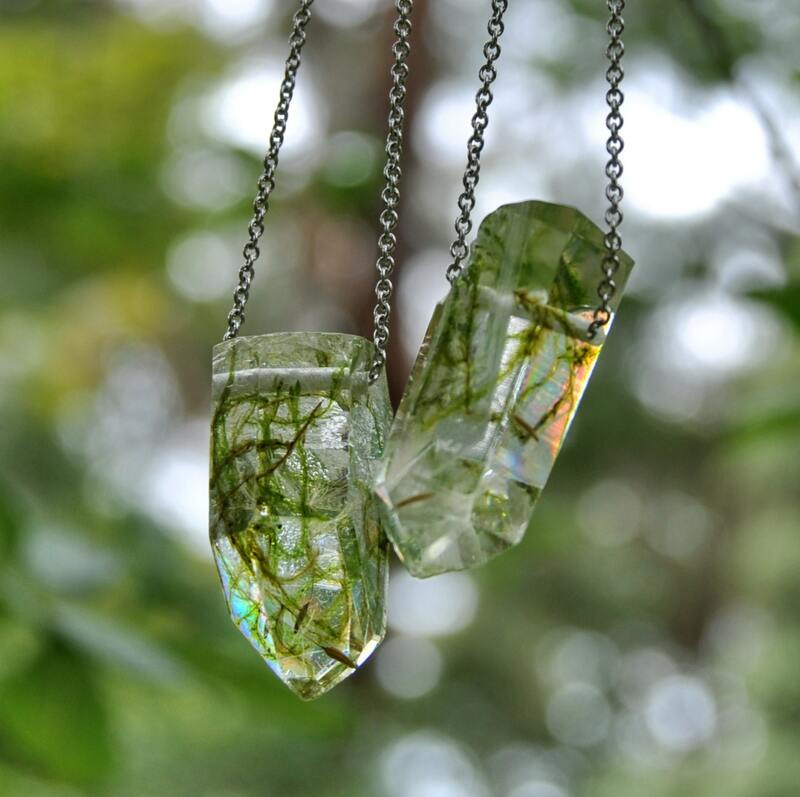 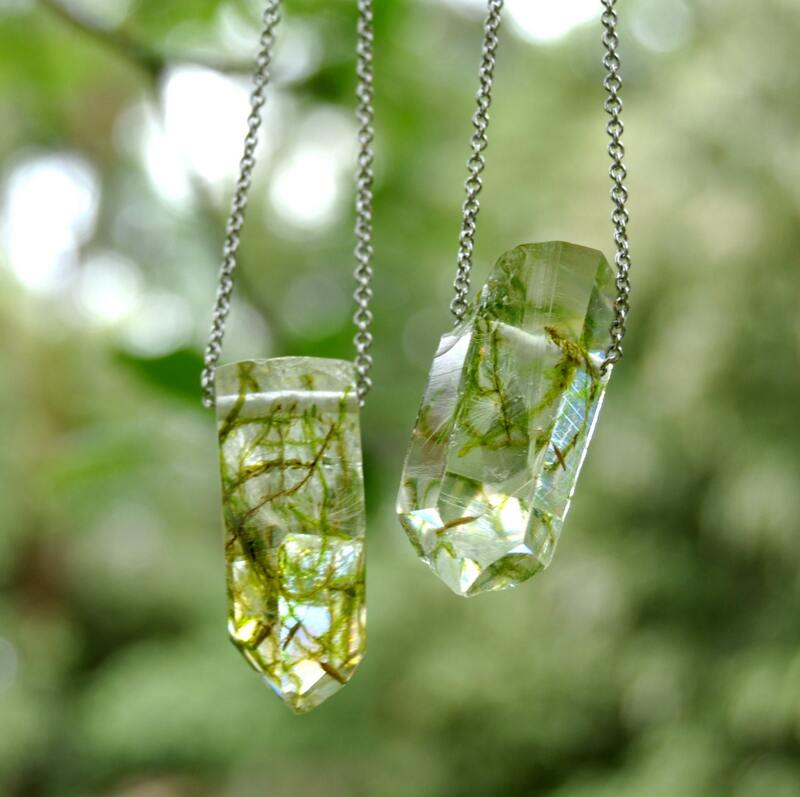 These beautiful crystal necklaces are made from eco resin, real moss and real dandelion seeds, and have been lovingly hand crafted from start to finish. 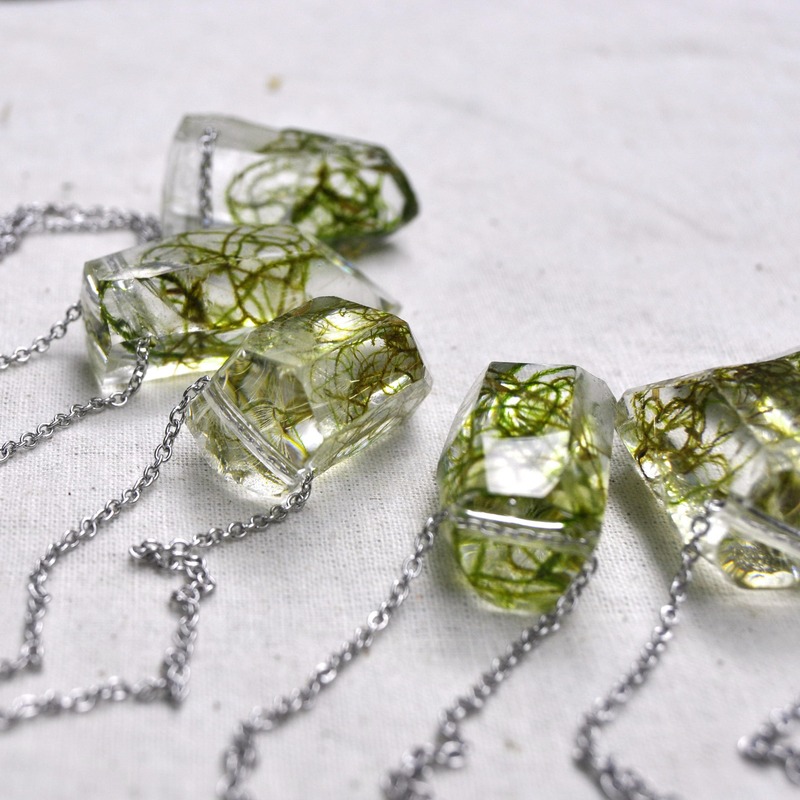 They're exactly the kind of thing you might find one of the Fae wearing, if you were lucky enough to happen across one. 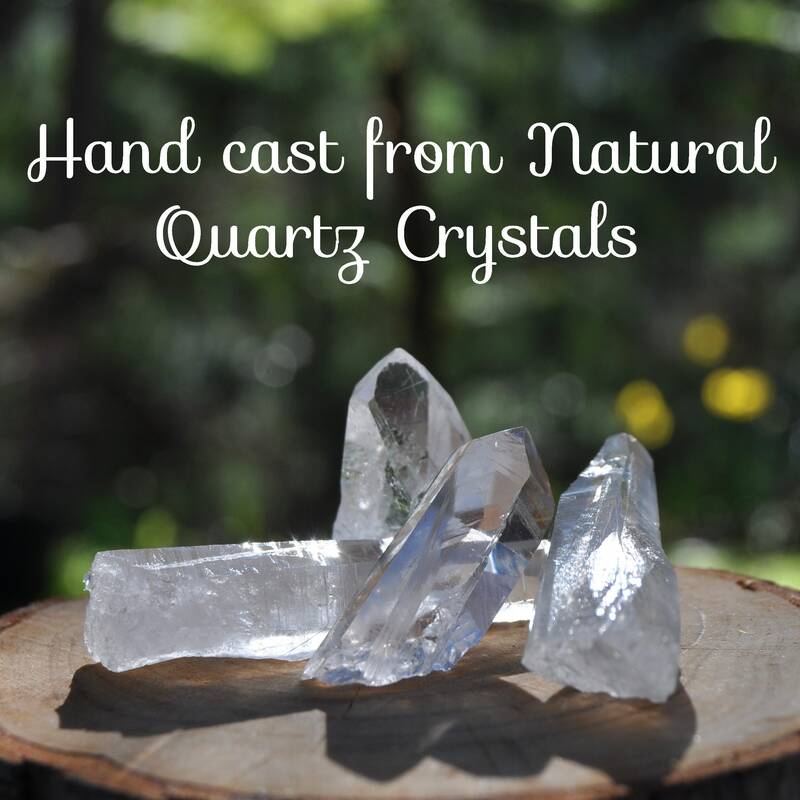 Each crystal was made in a multi-stage process. 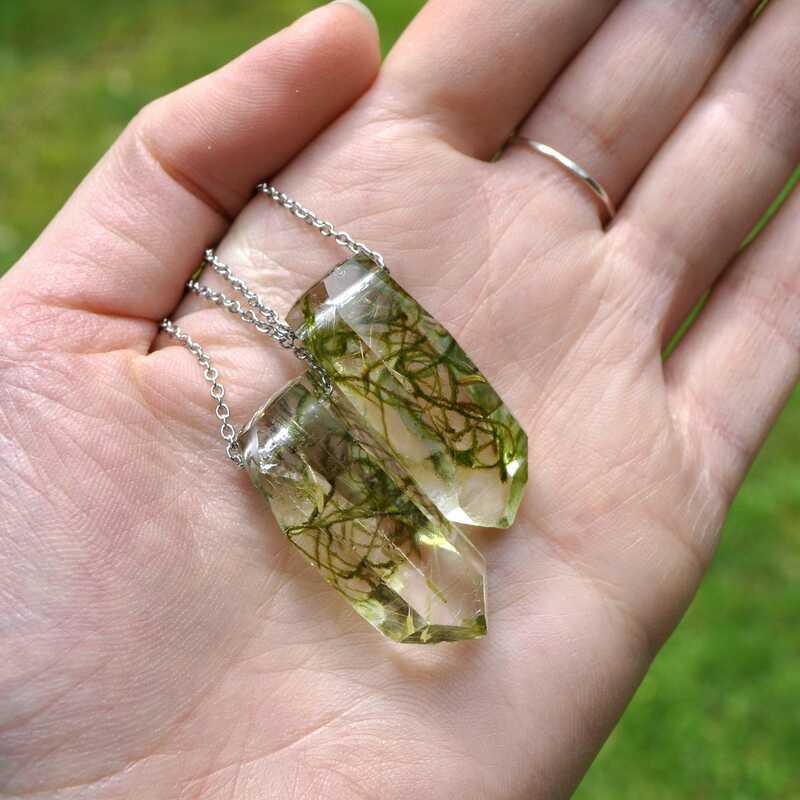 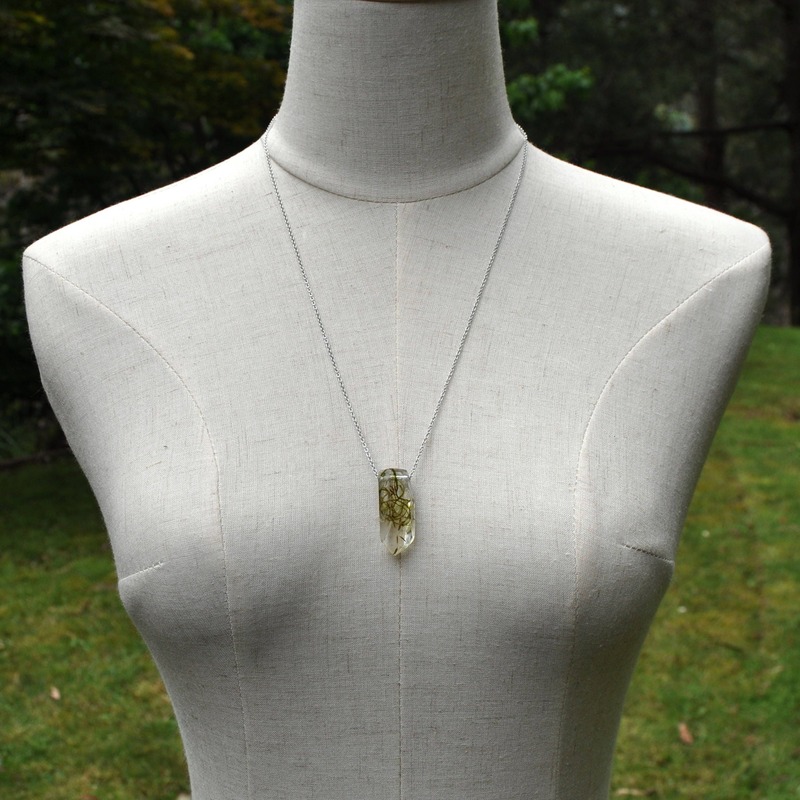 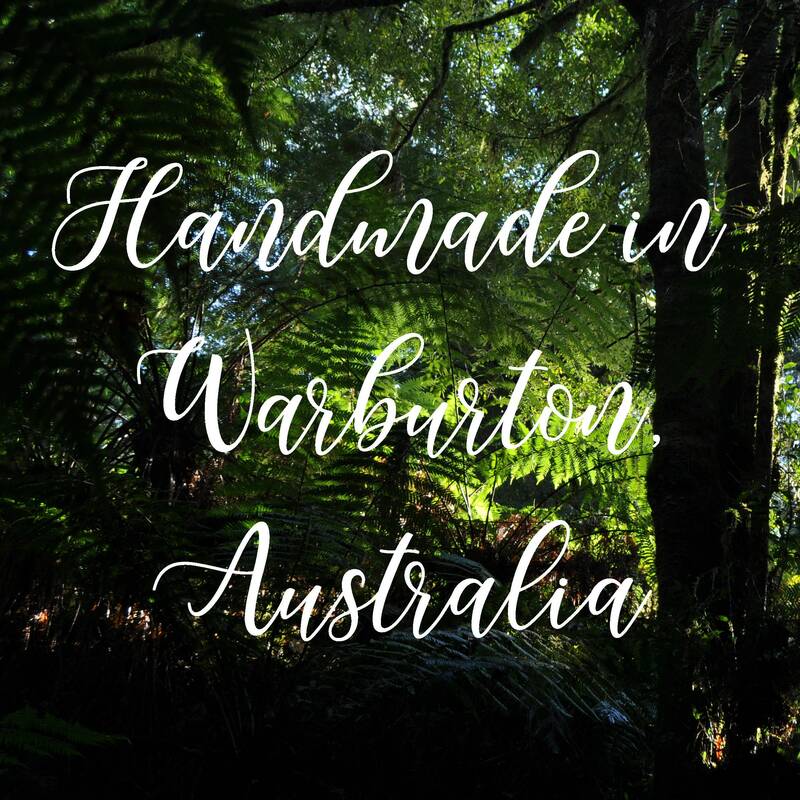 This includes collecting and drying the moss, making the molds from natural quartz crystals, casting the crystals in resin, then sanding each crystal, before drilling it, adding a final layer of resin, giving it a little polish, and turning it into a necklace!